Swedish technical metal band Meshuggah are set to release their seventh studio album Koloss this March via Nuclear Blast. 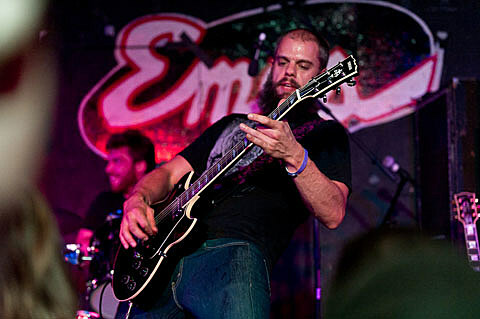 In support of the LP, they’ll kick off a North American tour in late-May featuring Baroness and Decapitated. That tour, dubbed The Ophidian Trek 2012, reaches the House of Blues on May 15th. Livenation and Citi Cardmember presales begin tomorrow (2/2), at 10AM CST. Tickets go on sale to the general public on Friday (2/3), at 10AM CST. As mentioned by BBG, Baroness are at work on a new album, due to hit stores later this year via Relapse Records. In other Baroness news, drummer Allen Blickle guested on A Place To Bury Strangers‘ forthcoming EP Onwards To The Wall, handling the skin bashing duties on “I Lost You” and “Drill It Up.” Stream the EP in its entirety now, via Hype Machine. All Ophidian Trek 2012 dates and some videos, below..